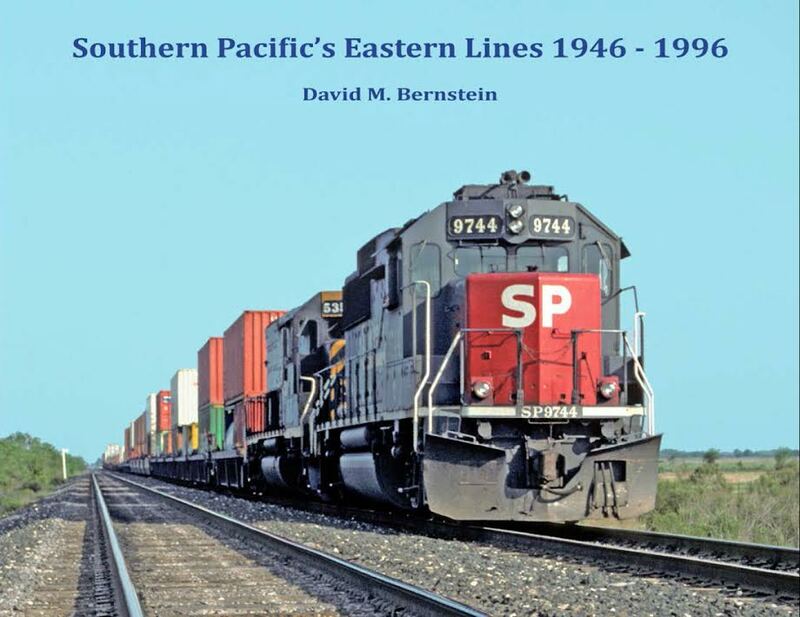 “Southern Pacific’s Eastern Lines 1946-1996”. Written by former Southern Pacific dispatcher and noted Texas railroad historian David M. Bernstein of Ft. Worth, this 412-page hardbound work contains nearly a thousand photographs, charts and maps, including a full photographic location index and complete reference tables of station locations and track abandonments. It is the definitive history of the last 50 years of the Southern Pacific railroad in Texas and Louisiana from the end of World War II until its merger with Union Pacific in 1996. Hard cover.